in cafés throughout the greater London region. rust flakes from their cheeks. to taste the approaching future. 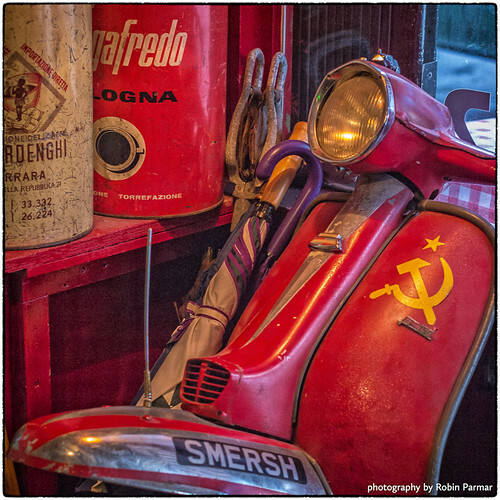 A communist vespa? :D where is this? In London at Scootercaffè. It used to be a scooter shop. I see now that it's on the Time Out list of best coffee shops, but I found it simply by exploring. I am good that way!